This paper presents a management process for creating adaptive, real-time security policies within the Six Sigma 6σ framework. A key challenge for the creation of a management process is the integration with models of known Industrial processes. One of the most used industrial process models is Six Sigma which is a business management model wherein customer centric needs are put in perspective with business data to create an efficient system. 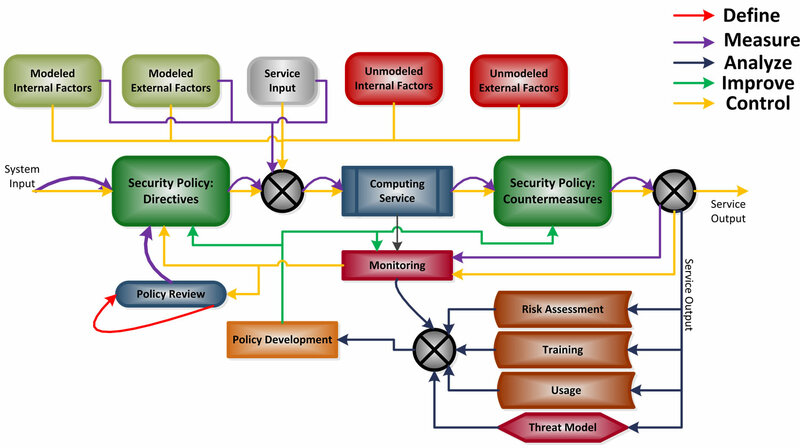 The security policy creation and management process proposed in this paper is based on the Six Sigma model and presents a method to adapt security goals and risk management of a computing service. By formalizing a security policy management process within an industrial process model, the adaptability of this model to existing industrial tools is seamless and offers a clear risk based policy decision framework. In particular, this paper presents the necessary tools and procedures to map Six Sigma DMAIC (Define-Measure-Analyze-Improve-Control) methodology to security policy management. A security policy  management process is necessary for refining existing policies or creating new policies as threats and computing services evolve. Security policy creation process gives an insight onto the quantification of risk. For high level management where it is necessary to make risk based decisions, this process provides a way to manage risk as threats change. There is always a need to maintain consumer trust for a successful computing service. A measure of an effective security policy creation process is the evaluation of risk. In this paper, we review existing policy creation models and propose our model based on Six Sigma  with quantification of the risk factors. We contend that threats have a direct implication on policies which are countermeasures to threats. Therefore, the efficacy of security policies needs to be measured against the modeled and analyzed threats in the security policy management system. As threats evolve so must the security policies since there is a direct correlation between threats and security policy. 3) policy operations in the system. In the current literature, the security policy management is generally referred to as a security policy process. 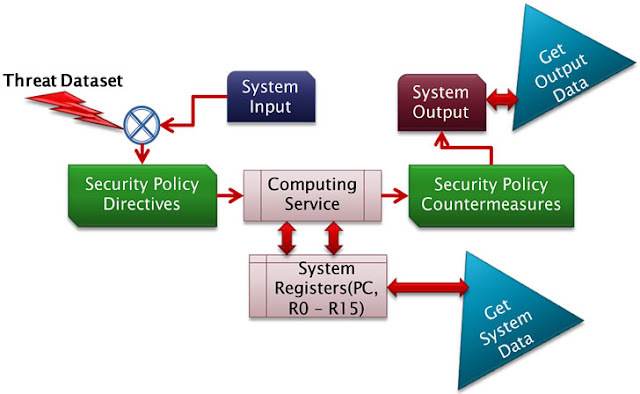 A security policy process model given in  identifies various phases of a security policy creation and updates. Most of the policy creation models have a clear security goal perspective of creating or enhancing security policies. Some models  are created by taking into consideration what security professionals had to say about the various aspects of technology that needs to be addressed before a policy is created. • Quantification of risk in security policy management for making decisions. • Define: This step involves the quantification of high level project goals and the process used. • Measure: This step involves the quantification of important methods used in a current process from which relevant data is collected. • Analyze: This step involves the identification of the causality effect between the process and factors influencing the process. • Improve: This step involves the optimization of the current process. • Control: This step involves the correction to any deviation associated with a particular process before it results into defects. • Define design goals that are consistent with customer demands and the enterprise strategy. • Measure and identify CTQs (characteristics that are Critical to Quality), product capabilities, production process capability, and risks. • Analyze to develop and design alternatives, create a high-level design and evaluate design capability to select the best design. • Design details, optimize the design, and plan for design verification. • Verify the design, set up pilot runs, implement the production process and hand it over to the process owners. In our approach, the security policy management within the Six Sigma framework 1) Defines security goals and quantifies digital assets, 2) Measures and assesses various threats to digital assets and quantifies risk, 3) Analyzes the overall security goals with the identification of the diversity of external and internal factors affecting the assets of a computing service, 4) Improves designs and optimizes the security policies with evolving threats, and 5) Controls threat mitigation with security policy implementation to guarantee the quality of service for gaining customer trust. • Assess: Assessment phase is a trigger to evaluate security policies which is initiated by either: 1) Creation of new model or addition of a new feature such that the input/output characteristics of a computing service is altered leading to changes in the risk factors; or 2) Consequence of the review and management of existing policies affecting the risk parameters of the computing service. For either of the above cases, the reference for policy changes are existing policies and the assumptions made during the institutionalization of the policies. In the organizational process  model, this phase is blended in the task of Policy Awareness, Policy Review and Risk Assessment. • Plan: Planning phase is where the requirements and strategy of rolling out a new security policy is created. This phase outlines the high level requirements of security policies for later implementation. In the organizational process  model this is primarily done in Policy Development. • Deliver: Deliver phase is when the actual implementation of the policy is undertaken. The design of various control structures based on requirements is determined. The implementation part of the security policy updates is also integrated in this phase. • Operate: Operate phase is persistent in which various external and internal businesses, regulatory and technology trends affecting the security policies are monitored and analyzed. The above policy management mechanisms, although they are theoretically effective, do not integrate into known business processes such that effective decision making can be achieved from a management standpoint. They also lack correlation with known security tools such that effectiveness of a policy mechanism can be quantified for risk analysis. In the proposed security management framework we integrate security policy management within Six Sigma processes and correlate security tools with each phase of the management process. For a Six Sigma implementation, there is a need to establish a causal analysis  which is true for other process improvement methodologies. We make a case for causality with respect to security policy and threats. We propose that the objective of a security policy creation is to counter threats as shown in Figure 1. Theorem: A security policy “S” counters a threat “T” in a secure system. S → T Proof: By contradiction. S1 T1 exists then the creation of policy really did not alleviate the threat. Hence the only way to alleviate the threat is if S1 → ¬T1. If we generalize this then S → ¬T. A security policy management process has to adapt security policies based on the feedback it receives on the threat information in order to mitigate threats in realtime. Hence, a key element stressed here is the ability of having feedback for countermeasures on threats . The other aspect of security policy management is to operate the process within a known and respected industrial process. Hence, we stress the requirement of creating this process within a Six-Sigma framework. as a predictor for any existing threat by setting up the computing service; and 2) a Countermeasure part where the Security Policy implementation of countermeasures creates mitigation strategies based on known threat models after data has been processed. • Threat Model: The threat model  is an important aspect of policy creation and also policy execution. In the previous section, the case was made for threat and policy as a cause and effect relation in a secure computing system. 1) Risk quantification on digital assets is well defined by security policies. 2) Simplicity of the decision system. Common Vulnerability Scoring System (CVSS) provides a framework to convert threat data into applicable risk information. 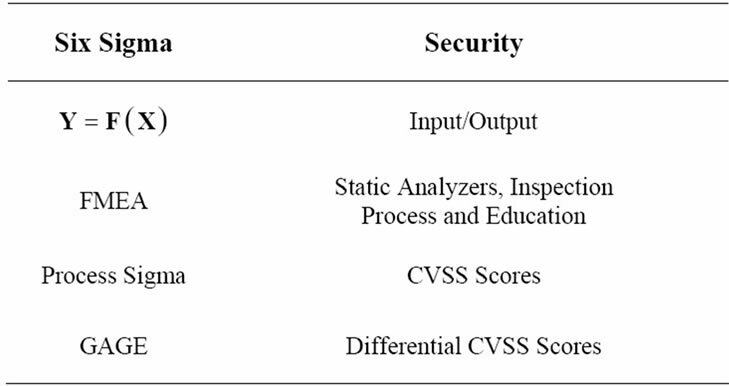 In this paper, we use CVSS as a basis to quantify various metrics within a Six Sigma framework. The metrics are grouped under base, temporal and environmental classes. The base metric deals with vulnerability characteristics that don’t change over time, temporal metric with characteristics that change over time, and environmental metric deals with the operating user environment. 1) In the Define phase of Six Sigma, existing Security Policy is reviewed. This review of the policy is based on the cost of quality and effectiveness of existing policies with respect to various threats encountered and modeled. Figure 2. Proposed security policy management process. 2) In the Measure phase of Six Sigma, the various risks of a threat are measured for the existing security infrastructure. Based on the risk quantification, confidence level on existing infrastructure elements like the Security Policy Directives, Countermeasures and Threat Model is measured. 3) In the Analyze phase of Six Sigma, new security policies are proposed and their effectiveness is measured with respect to existing security policies to counter threats. This phase requires experimentation with various kinds of implementation and the cost effectiveness to mitigate risk. 4) In the Improve phase of Six Sigma, the actual implementation of the Security Policy Directives, Countermeasures and Monitoring mechanism based on a Threat Model is done such that the effectiveness of the newer model can be monitored. 5) In the Control phase of Six Sigma, the new policy effectiveness is tracked. Since the Security Policy is broken down into a directive part and a countermeasure part, the policy effectively tries to adapt to threats. Define phase of Six Sigma is used to identify digital assets and quantify various design goals for the security policy management process. As shown in Figure 2, Policy Review and Policy Development reflects the define phase in security policy management process. This phase generally would involve the identification of security goals, assets, threats and factors involving security policy creation. Digital assets identified by the customer and service provider are important components of a computing service. 1) Improper or unauthorized creation, modification or deletion of user accounts. 2) Improper or unauthorized creation, modification or deletion of database contents. 3) Improper or unauthorized creation, modification or deletion of database access controls. 4) Exploitation of input control (buffer overflows) to undermine availability and escalate privilege. • With management approval, an appropriate threat alleviation systems needs to be identified as well as choice of the version of the database. • Cost of Quality (CQ) where the cost of quality can be split into Cost of Good Quality (CGQ)  when a process conforms to certain guidelines, which in context of security, is to follow the best practices in managing security policies. • Cost of Poor Quality (CPQ)  accrued due to nonconformance. A tool commonly used to focus on failures in CPQ is a Pareto Chart . Pareto Chart  is used for identifying financial loss due to threats to digital assets denoting CPQ. A Pareto chart highlights the importance of a certain factor among various factors. In case of security, the Pareto chart highlights the importance of loss in revenue correlated to corresponding security vulnerability. 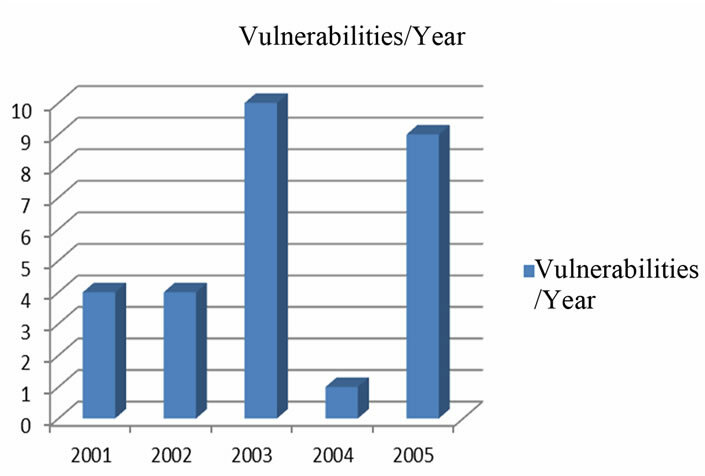 A typical Pareto chart for CVSS severity of attacks for PostgreSQL database (Years 2001-2005) is shown in Figure 3. This chart represents the CVSS score of vulnerabilities when being prioritized for system integration. For security management processes, the severity of the rating of a threat is equated to financial dollars and a management data spread should clearly show where priorities lie. Another way to highlight various aspects of process is by using a SIPOC (supplier, input, process, output, customer)  chart which identifies the workflow interaction of any service. For a security policy management process the SIPOC chart, identifies how security policy interacts with a computing service. The SIPOC chart for a security process is shown in Figure 4. • Supplier of Input—System, Consumer, Malicious Content Provider, and Environment. • Inputs—System Inputs, Consumer data input, Environmental input, and Malicious data input. • Process—Computing Service for Content, Security Policy Directives and Countermeasures for Threats. • Output—Processed Data and Monitoring Data. Measure phase involves measurement and quantification of risks to digital assets in the service. • Threat Impact due to software is measured by a system similar to the CVSS score. • Risk due to hardware which quantifies the level of trust the hardware can provide. • Risk during operation of the computing service based on the threat model identified during the Define phase. • Access Vector denoting how the vulnerability is exploited. • Access Complexity denoting the complexity of the vulnerability once access is gained into the system. • Authentication which highlights how many authentication steps an attacker has to attempt so as to exploit the vulnerability. • Confidentiality Impact metric which highlights how the vulnerability effects unauthorized data. • Integrity Impact which denotes the guarantees of trust on content. • Availability Impact which denotes content accessibility in face of a successful attack. Figure 3. Pareto chart of CVSS score for threats in PosgreSQL. Figure 4. Security SIPOC chart of a computing process. • Y = F(X)  tool as shown in Figure 5, which identifies malicious input (X) and related output (Y) for various threats identified to be included in the Define Phase. Typically this analysis shows the causality relation of threat vectors and corresponding vulnerability of a computing system. InFigure 5, the threat dataset (X) when processed by the computing system (F) identifies the vulnerability (Y). In this analysis, the Access Vector of CVSS is the threat dataset. 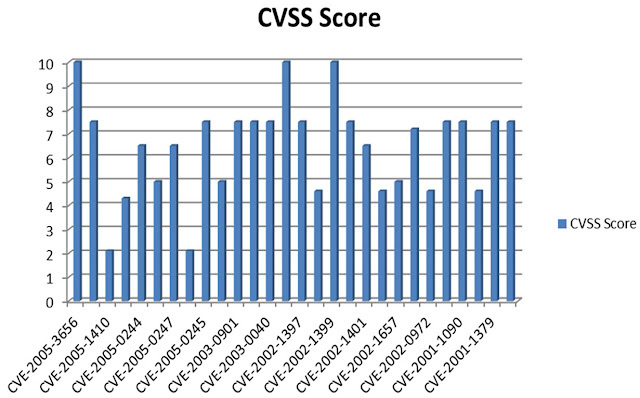 Access Complexity and Authentication of the CVSS base score are measured. • FMEA (Failure Mode and Effects Analysis)  tool identifies threat vectors, severity of threats, causes and current inspection methodology to evaluate the risks. Here, the Confidential Impact, Integrity Impact and Availability Impact of the CVSS base score are measured. The vulnerability data obtained from NVD (National Vulnerability Database)  of Post greSQL  identified in the Define Phase shows the number of threats each year as shown in Figure 6. Another important aspect of policy creation process is to train the people who would deal with the computing system and change the computing logic in any way. The score that affects the quality of the security of a product depends on how well they are trained. 1) The important factors here are the consumer specification and operational specification. If the severity threats are quantified within these specifications, then the CVSS Risk score gives the value of risk. 2) This also has a bearing on the customer agreements. Difficult to stage attacks requiring the customer to be an active participant in the attack like hardware attacks will fall beyond the operational specification of a computing service. Hence the customer agreement is drawn to limit liabilities for the computing service provide in such cases. The Cpk value of risk in case of hard to exploit attacks would be low which are then framed into consumer agreements. • GAGE  tool is used to gage repeatability and reproducibility (Gage R & R) of threat identification, and to remove false positives from the approach data is collected. The Six Sigma Measure phase chart shown in Table 1 indicates the proposed mapping of various tools in Six Sigma to that of a security measures. Table 1. Measure phase mapping to security management. Figure 5. Y = F(X) analysis for security. Figure 6. Vulnerability rate each year of PostgreSQL . • Improvement to existing security policies. • Identification of new threats and thereby changes to the threat model. • Exploitability which measures the techniques of exploits and the availability of code that can used to stage the exploit. • Remediation Level which deals with the type of fix that is available for a given vulnerability. • Report Confidence which deals with the existence of the vulnerability and quality of information about the technical details of the vulnerability. • Hypothesis testing  on threat data to test efficacy of new security policies creating null hypothesis (H0) or alternate hypothesis (Ha). The alpha risk is still kept at an industrial risk standard of 5% for hypothesis testing. This is also used to test security flags in automated testing tools before deployment. This can be established by measuring the exploitability as defined in the CVSS temporal metric. • Correlation and Regression to test known threat vectors to identify input output relationships. This part deals with lab based penetration and fuzz testing for software security and quality assurance . The output is generally identified by Pearson coefficient. This can be highlighted by the remediation level and report confidence of the CVSS temporal score. • Analysis of Variance (ANOVA)  is hypothesis testing with variations of input factors. It essentially states the effectiveness of security framework for variations in input and temperature, or input and clock etc. 1) Decisions can be made on the degree of risk that can be taken. 2) Some policies maybe too expensive to implement and not worth implementing for the product at hand and this assessment of risk quantification helps make business and financial decisions. 3) Usage of the policy and threat models combined with the computing logic determines how people utilize a security system and helps to focus on critical threats and policies. Eventually, it feeds into the risk assessment for any future decision. • Component Threat Model: The threat model in the analysis phase gives an overview of any modeled threats and the modeling of any new threats. 1) In a computing system built out of various components, a specific threat model for each component exists. For example some components in a computing service may experience network centric threats where as others might experience hardware centric threats. 2) Monitoring is used to analyze effectiveness of the policies so as to discover various correlations between input output data and threats to digital assets. • Penetration Testing: Simulating and staging an attack on a computing service requires understanding about how a computing service is used. 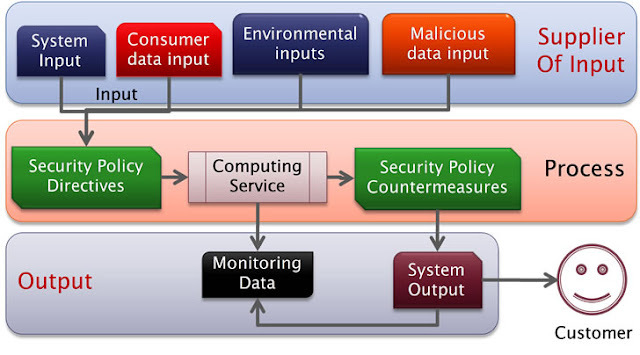 It identifies various input output characteristics based on the component threat model. Proposed Analyze Phase mapping to security principles is shown in Table 2. • Design of Experiments (DOE)  is essentially doing ANOVA  for the whole system. ANOVA measure in the analyze phase is used to get variations for components of a computing service. In DOE, all variations in a computing service are taken into account to understand the effectiveness of the security framework and recording risk value of a policy to a threat on any digital asset with variations. This needs to be done always after the GAGE measurement is conducted on the threats since it identifies the source of variations due to threats in various operating environments. • Security Policy Directive: The security policy directive is the actual policy definitions which are implemented. These definitions are invoked before the actual computing logic is executed. This takes the feedback from a threat profile which was used to create the policies. Table 2. Analyze phase mapping to security management. • Security Policy Countermeasures: The countermeasure part of security policy acts on any modeled threat which has been encountered during operation. The effective decision of countermeasures lies with this policy definition. The Improve Phase mapping to security management is shown in Table 3. • Statistical Process Control (SPC)  measures the critical characteristics of the process in real-time and generates countermeasures if threats are identified to alleviate them. • Mistake Proofing  also called Poka-Yoke wherein policy definitions are error-proofed so that they cannot be misinterpreted Control Phase mapping to security principles is shown in Table 4. • Refining of Security Policies—a security policy management process requires refinement of existing policies in a proactive and reactive manner. The primary objective of the existing models and the presented model is similar and all the models satisfy this requirement. • Threat Profile—the threat profile on which the security policy is executed is done with an active threat profile in the Six-Sigma model. Due to the causality relationship between security policy and threat as a part of the live computing service, an active threat profile is required to provide continuous monitoring and adaptation of security policy. The existing models in literature do indicate the need for threat modeling but do not propose it to be a part of the active system. • External Factors—the external factors affecting a computing service is the unknown in any security architecture. Threats that are known and modeled can only be countered by design. • Feedback—the feedback for the efficacy of a security policy due to changes in threats is addressed implicitly during policy evaluation and design in existing systems. In the Six-Sigma process, the feedback is explicit since we added an explicit threat monitoring system to adapt security policies. • On the Fly Change—due to compartmentalization of security policies and threat profiles as an explicit part of the computing service, the proposed model can change on the fly as threats evolve. The threat monitoring system also allows us to adapt policies based on monitoring data. In the current models, due to the embedded part of policy in the computing service without explicit separation, on the fly change may be difficult to enact. Table 3. Improve phase mapping to security management. Table 4. Control phase mapping to security management. Table 5. Feature comparison of the security policy models. • Mathematical Model—the model presented here is based on the causality relationship between threat and security policy. Without having causality relationship, Six-Sigma tools cannot be used for analysis. Thereby, the framework we present in this model is different from others where the mathematical framework is not presented. The models compared against are based on well-known practices or experience whereas the proposed model is based on a mathematical approach. • Industrial Process Integration—the model presented here integrates security policy management process within industrial processes which facilitates industry goals of risk quantification and assessment. The PFIRES model and Organizational Process model don’t present integration with industrial processes. • Integration with a known management process thereby reusing tools already existing within an industrial setting. • Integration of tools with security primitives to facilitate decision making. • Quantification of risks to digital assets. Vijay Anand, Jafar Saniie has written this security paper during their graduate program at Department of Electrical and Computer Engineering, Illinois Institute of Technology, Chicago, USA in 2011 along with Associate Professor Erdal Oruklu of the same institute. Six Sigma Motorola University, 2011. http://web.archive.org/web/20051106012600/http://www.motorola.com/motorolauniversity. W. Scacchi, “Process Models in Software Engineering,” Encyclopedia of Software Engineering, 2nd Edition, John Wiley and Sons, Inc., New York, 2001. R. Shankar, “Process Improvement Using Six Sigma: A DMAIC Guide,” ASQ Quality Press, Milwaukee, 2009. D. N. Card, “Myths and Strategies of Defect Causal Analysis”, Proceedings of Pacific Northwest Software Quality Conference, Portland, 18-19 October 2006. G. Zanin and L. V. Mancini, “Towards a Formal Model for Security Policies Specification and Validation in the SELinux System,” Proceedings of the Ninth ACM Symposium on Access Control Models and Technologies (ACMAT’04), New York, 2-4 June 2004, pp. 136-145. S. Preda, F. Cuppens, N. Cuppens-Boulahia, J. G. Alfaro, L. Toutain and Y. Elrakaiby, “Semantic Context Aware Security Policy Deployment,” Proceedings of the 4th International Symposium on Information, Computer, and Communications Security (ASIACCS’09), Sydney, 10-12 March 2009, pp. 251-261. “A Complete Guide to the Common Vulnerability Scoring System Version 2.0.,” 2011.http://www.first.org/cvss/cvss-guide.html. H. De Koning and J. De Mast, “ASQ: The CTQ Flowdown as a Conceptual Model of Project Objectives,” Quality Management Journal, Vol. 14, No. 2, 2007, pp. 19-28. L. Grunske, R. Colvin and K. Winter, “Probabilistic ModelChecking Support for FMEA,” 4th International Conference on the Quantitative Evaluation of Systems (QEST 2007), Edinburgh, 16-19 September 2007, pp. 119-128. H. P. Barringer, “Process Reliability and Six Sigma,” National Manufacturing Week Conference, Chicago, 13-16 March 2000. C. Hsieh, B. Lin and B. Manduca, “Information Technology and Six Sigma Implementation,” Journal of Computer Information Systems, Vol. 47, No. 4, 2007, pp. 1-10. A. Takanen, J. DeMott and C. Miller, “Fuzzing for Software Security Testing and Quality Assurance,” 1st Edition, Artech House, London, 2008. M. Tanco, E. Viles, L. Ilzarbe and M. Álvarez, “Manufacturing Industries Need Design of Experiments (DoE),” Proceedings of the World Congress on Engineering (WCE 2007), London, Vol. 2, 2-4 July 2007. D. M. Ferrin, M. J. Miller and D. Muthler, “Six Sigma and Simulation, So What’s the Correlation,” Proceedings of the 2002 Winter Simulation Conference, 8-11 December 2002, pp. 1439-1443.